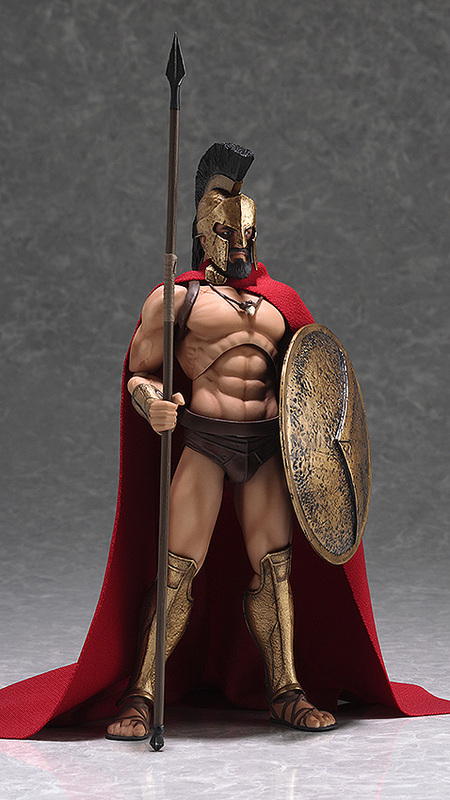 From the film '300' comes a figma of the great King of Sparta, Leonidas! 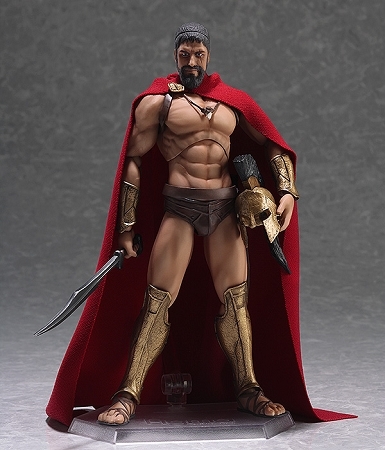 He comes with two expressions including a glaring expression and a shouting expression. Both make use of UV printing for a very realistic appearance. 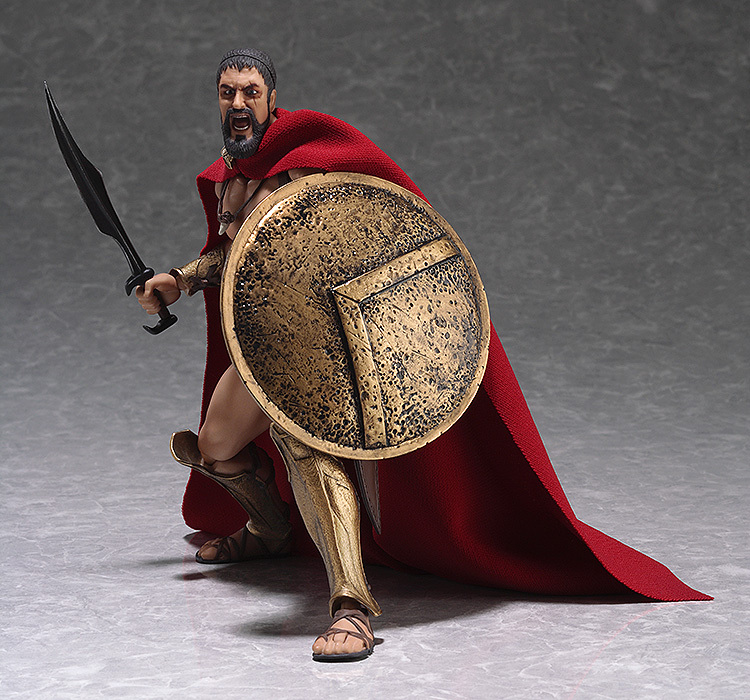 Optional parts include various equipment used by Leonidas including his sword, shield, spear, helmet and his necklace. The memorable cape from the film is also included and made from actual fabric. 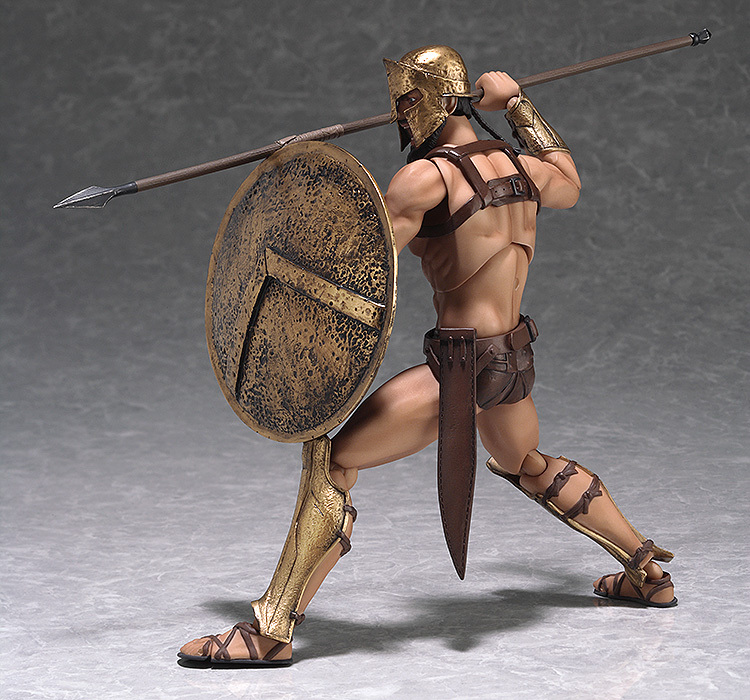 A standard infantry-use helmet is also included.